Learning that a loved one has been diagnosed with diabetes can be difficult -- especially when that person is your child. It’s important to remember that you aren’t alone, and that there are plenty of other families going through the same challenges. Pediatric diabetes is manageable and doesn’t have to mean an end to the activities you enjoy as a family. One of the most important things you can do to promote healthy management of your child’s diabetes is to talk openly with them. Make sure that they feel comfortable coming to you with any problems they’re experiencing, and do not berate them when something goes wrong. You should try to encourage a positive environment at home and maintain a supportive, welcoming posture with anything that has to do with diabetes. Families should have these conversations together so that everyone feels included and informed. One of the first conversations you have with your child should be to explain diabetes as best you can, how your lives are going to change, and what measures you’ll all be taking to manage the condition on a daily basis. Don’t dwell on the negative, but rather focus on diabetes as just a common condition that needs extra attention. Allow your child to ask any questions they have and feel whatever they feel about the diagnosis (whether it be sad, angry, or other emotions). Honest communication is key when managing pediatric diabetes as a family unit. Many child psychologists talk about the benefits of maintaining a routine for your child day-in and day-out. In addition to helping incorporate new habits, maintaining an established routine can actually help a child deal better with periods of change, like a new diagnosis. For pediatric diabetes management, it may be best to make slight modifications to your existing routine at first. Let your child know about the changes that are coming along the way. If your child requires insulin therapy as part of their treatment, this may be one of the most challenging aspects because it can require finger pricks and injections several times a day. You can work with your child to bake these into their schedule with something that they enjoy, like a favorite TV show or other fun activity. Another way to promote healthy diabetes management and reduce the number of injections received daily is to use an insulin pump with smartphone styling. 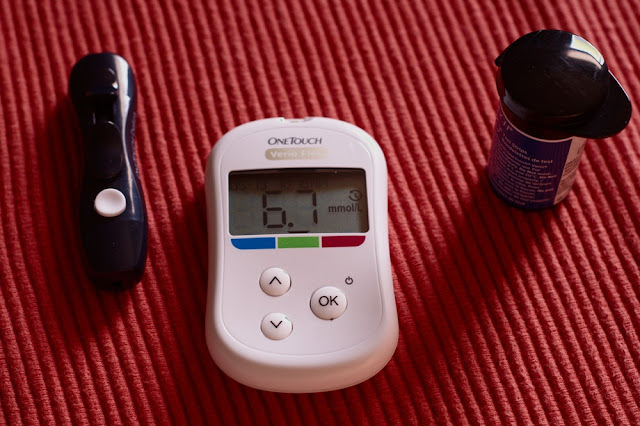 These devices are easy to use for parents, caregivers, and even older children, and can reduce the struggle and hassle of administering several insulin injections per day. As part of your routine, you can also begin to plan meals and mealtimes together. This can often be helpful for monitoring blood sugar and the effects of a meal on your child’s blood sugar. You’ll want to encourage healthy eating and make sure your child is eating regularly enough, as required by their blood glucose readings. Keep in mind that extra preparation may be involved to effectively count carbohydrates and prepare snacks, but that it’s also possible to make this an enjoyable bonding opportunity for the whole family. Another important aspect of healthy living and diabetes management is staying active. Oftentimes, this is the easiest activity to incorporate into the family routine because you can make it fun! Get outside with the family and play a game of soccer, join a kickball league, establish a daily dance break, or just go for a walk. Make sure to sneak in any necessary blood glucose checks and blood sugar/insulin adjustments as needed but try to focus on the positive aspects of the activity together. Finding small ways to incorporate physical exercise into your routines can improve sugar metabolization, improve cardiovascular health, and promote feelings of closeness among family members. Always remember that there are others that can help you with this difficult transition. If you find yourself having a hard time with your child’s diabetes diagnosis, speak to your doctor, your diabetes educator, or find a support group of parents near you.